It’s neither! Until one side makes it strong or weak, that is. This Saturday, I am going to show you how to do precisely that with a fantastic free coaching session on the key strategies for playing both sides of this very important structure. • The unexpected ‘bayonet’ thrust that spearheads an overwhelming onslaught against the enemy King. See how Kramnik used this exact method to crush Vishy Anand! 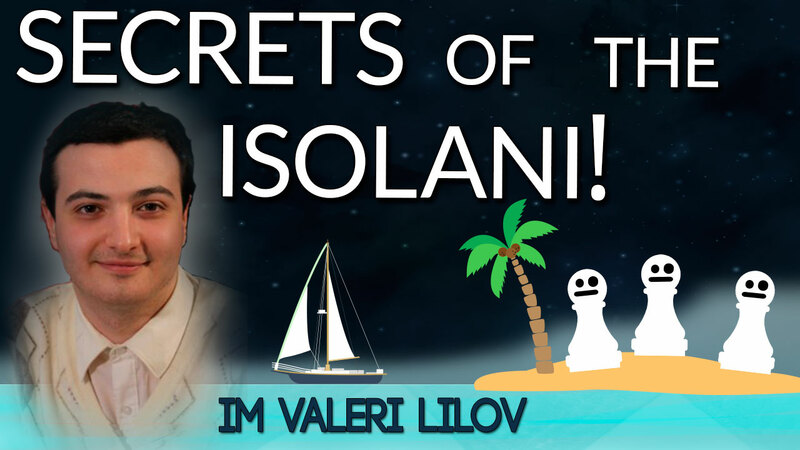 • GM Leko’s easy to remember strategy for paralyzing the isolani before laying siege to it. 75% of club players won’t know how to prevent this game-winning maneuver. • The sneaky Bishop maneuver that allows you to switch from the central battle to a devastating Kingside attack before your opponent knows what’s happening! If you’ve ever steered away from a move because you feared ending up with an isolated d-pawn or you’ve struggled to contain your opponent’s isolani, you’ll benefit from a ton of powerful, game-winning ideas in this training session. One thing is for sure, isolani positions lead to sharp games and are perfect for players determined to win every game.